To make the best cornbread muffins, you need a really strong corn flavor. And this cornbread recipe has both fresh corn kernels and cornmeal rather than canned corn kernels here. 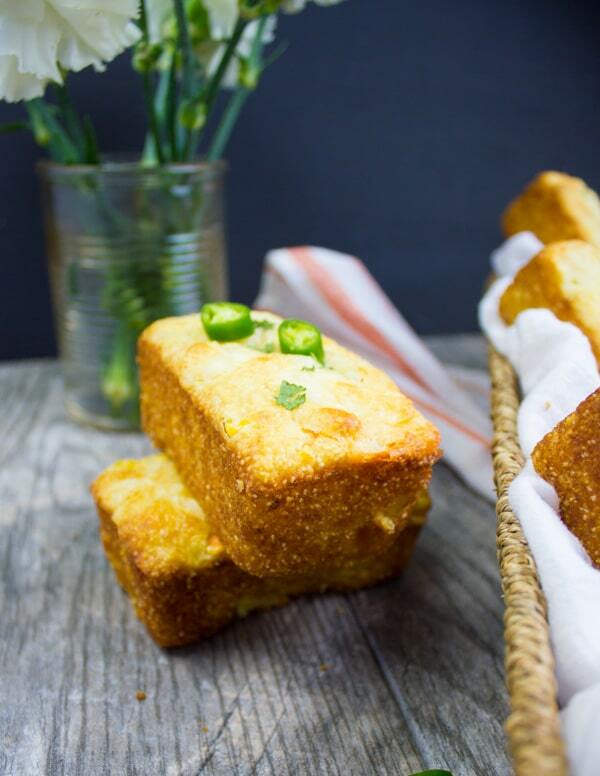 For an airy, fluffy, and moist cornbread I’ve used Greek yogurt. So while regular yogurt or buttermilk work, the Greek yogurt offers an extra touch of moisture with double the protein. That’s a win win! Another thing is the cheese. Oh yes we all love our cheesy cornbread muffins. However, I’ve found that sprinkling some strong white cheddar cheese onto of each cornbread muffin is best. You get the same cheesy taste you’re looking for with less calories by using just a fraction of the amount of cheese. 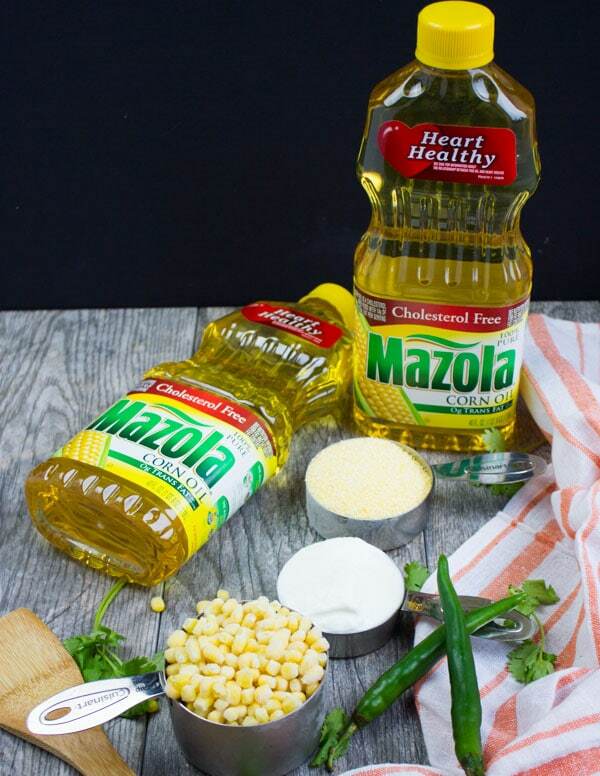 I’ve mentioned the Mazola Corn Oil earlier. 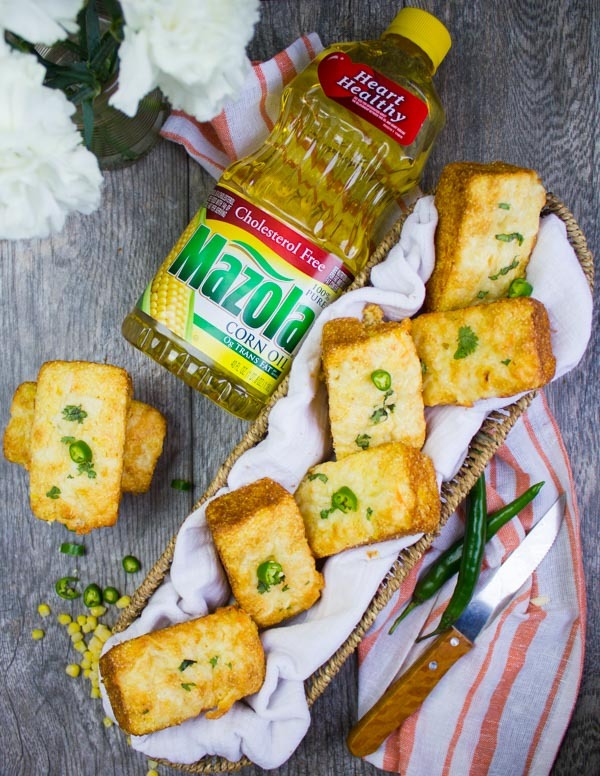 Aside from reducing cholesterol and enjoying more cornbread in life, the corn oil adds more moisture than butter. So you’ll end up with cornbread that stays moist probably two days more than using butter! 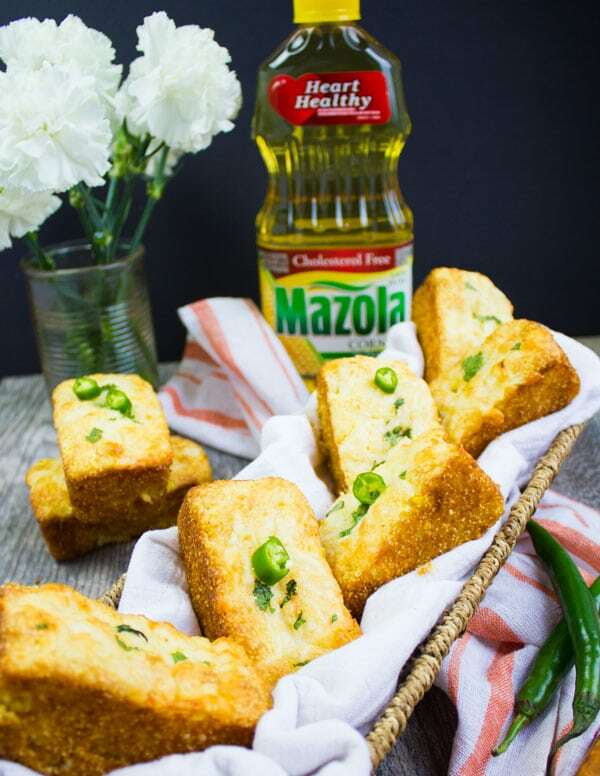 Another thing, the Mazola Corn Oil has a neutral taste so your cornbread will taste like cornbread! The corn oil also has such a high smoking point (450F), which is crucial for baking and cooking. Because of that high smoking point, you can be sure you won’t be losing any nutrients by heating the corn oil. Most of the other cooking oils lose their nutritional value and taste this way. It’s just a smart, heart-healthy choice for you and your family! First of all, have two separate bowls, one bigger than the other. Start by mixing the dry ingredients like flour, baking soda and baking powder in the small bowl. Likewise, you’ll mix the wet ingredients in the bigger bowl. 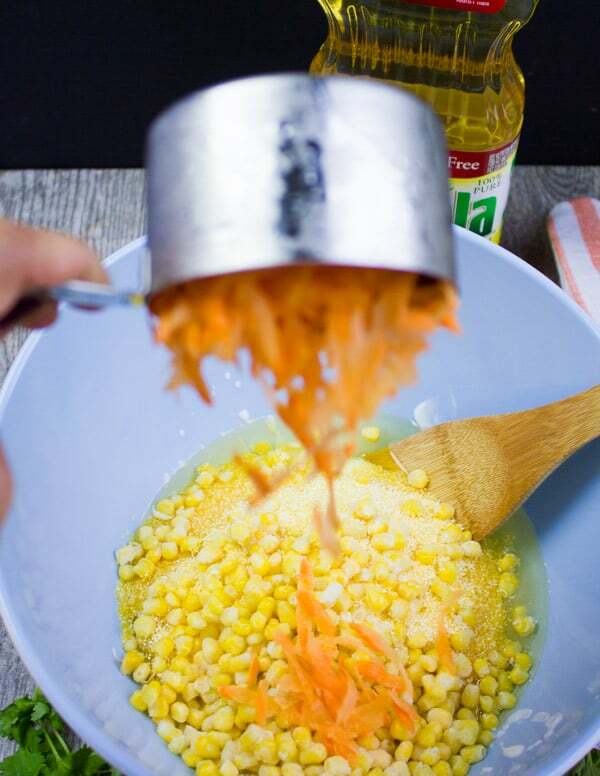 That includes sugar, egg, Greek yogurt, Mazola Corn Oil, cornmeal, corn kernels and grated carrots. 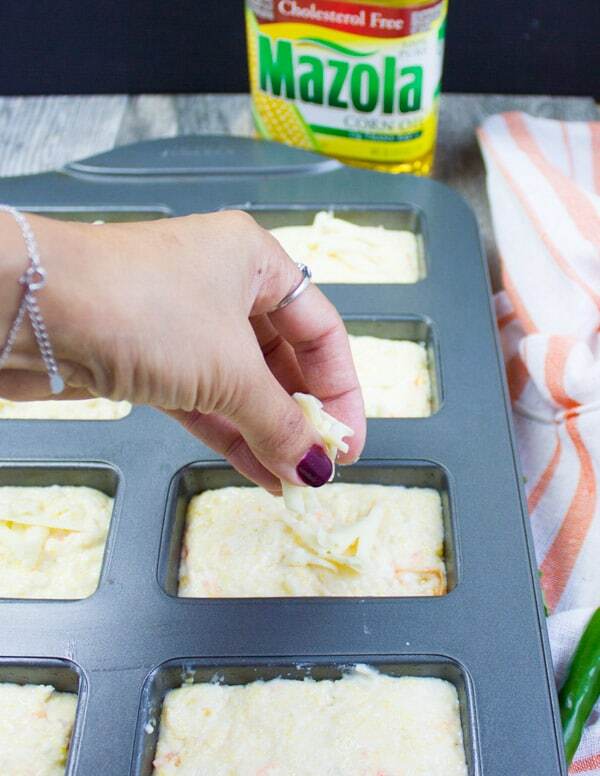 For the cornbread muffins, choose your favorite muffin pan. I always prefer making them in this mini loaf pan, however any type of muffin pan works just as well. If you choose to make a single round cornbread, just adjust the baking time. Scoop your cornbread batter into the muffin pan and sprinkle some grated sharp cheddar cheese on the top, pressing it slightly to the cornbread muffins. Now bake at 400 degrees for 15 minutes. 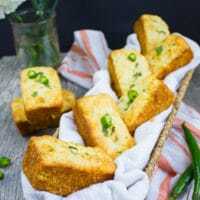 I love to sprinkle fresh cilantro and sliced green chillies (or jalapeños) on the cornbread muffins as soon as they’re out from the oven. But I know that it’s probably not everyone’s taste so it’s completely optional. These cornbread muffins need just a wooden spoon and a bowl and similar to any other muffin recipe, you don’t want to over work the batter. This is crucial to get that fluffy texture. Watch your oven carefully as they may be ready anywhere from 13-17 minutes. When sprinkling the cheese over each cornbread muffin, make sure to press it gently on the batter so it sticks and doesn’t burn quickly. 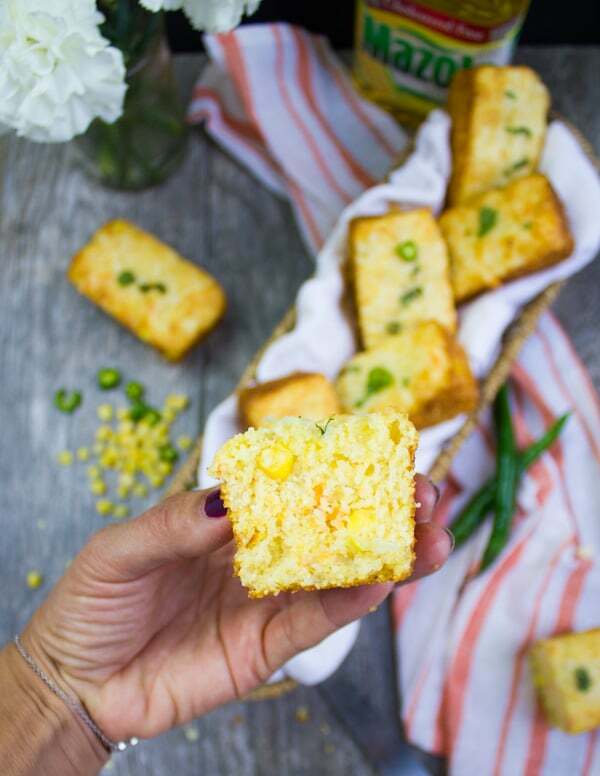 Use fresh or frozen corn for the freshest tasting cornbread. You don’t need to cook or thaw the corn at all. 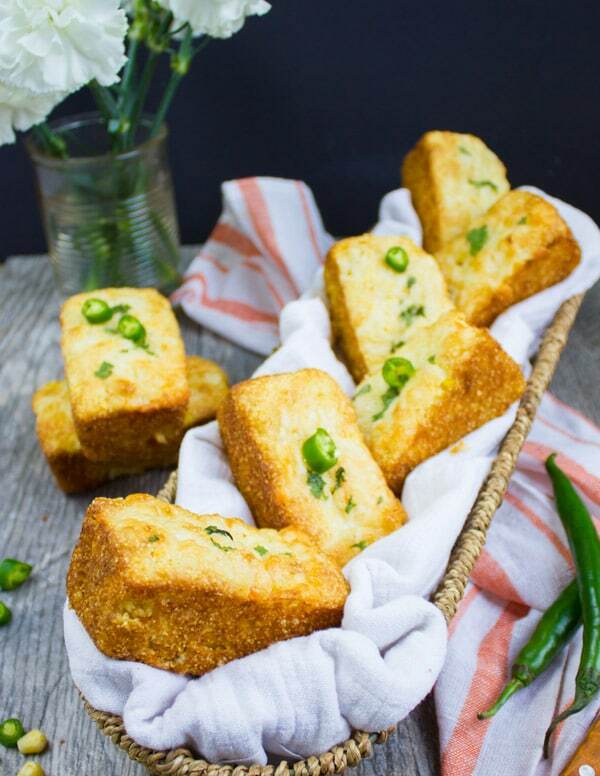 If you’re sprinkling fresh cilantro and jalapeños on your cornbread, make sure to do that as soon s your remove the cornbread from the oven. It seems like they stick best that way because the cheese will be still melty. If there’s something I would change here, it’s maybe the sugar. I’ve met some people who love their cornbread on the sweet side, while others prefer it on the salty side. The amount of sugar I used it a bit on the sweet side which compliments the sweetness of the corn, however feel free to go down to 1/4 cup. These are the Best Cornbread Muffins you’ll ever make. They’re moist and tender, perfectly sweet, boosted with some carrots and a touch of cheese sprinkled on top. Only 20 minutes start to finish, this is a must make recipe! I think everyone has a dreamy version of their favorite cornbread muffins recipe, and today I wanted to share mine. 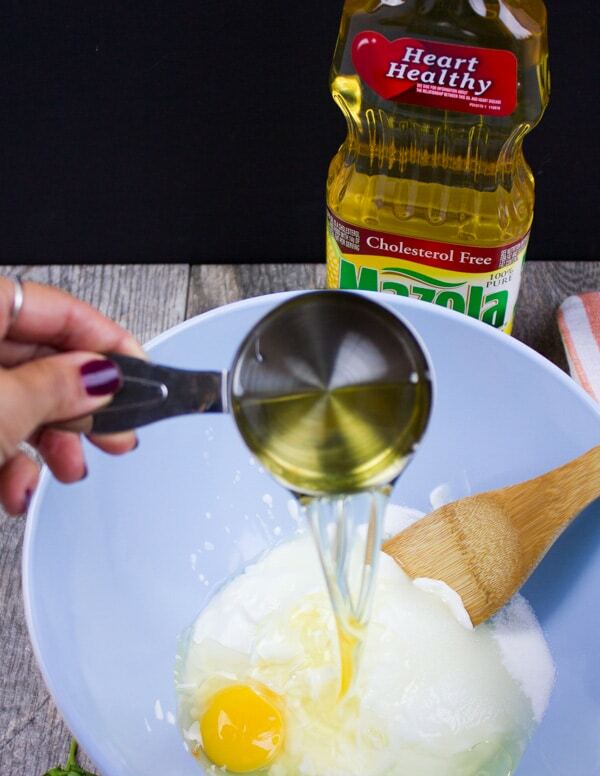 Spray or brush your muffin pan with Mazola Corn Oil. Any size muffin pan works. Prepare tow bowls, one smaller than the other. In the smaller bowl, mix all the dry ingredients well. In the larger bowl, mix all the wet ingredients. Add the dry ingredients to the wet ingredients bowl and use a wooden spoon to blend the batter being careful not to over mix. 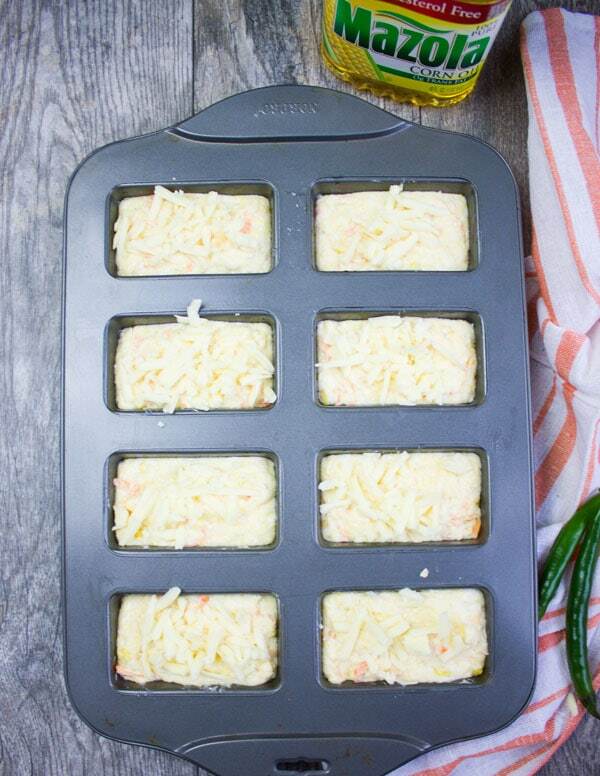 Scoop the batter into the muffin pan and sprinkle some cheese over each cornbread muffin. Bake the cornbread muffins for 13-17 minutes until puffy and a toothpick inserted in the centre comes out clean. As soon as they’re out from he oven, sprinkle the cilantro and jalapeño over the muffins (optional) and let them cool for 10 minutes before removing from the pan. When sprinkling the cheese over each cornbread muffin, make sure to press it gently on the batter so it sticks and doesn't burn quickly. 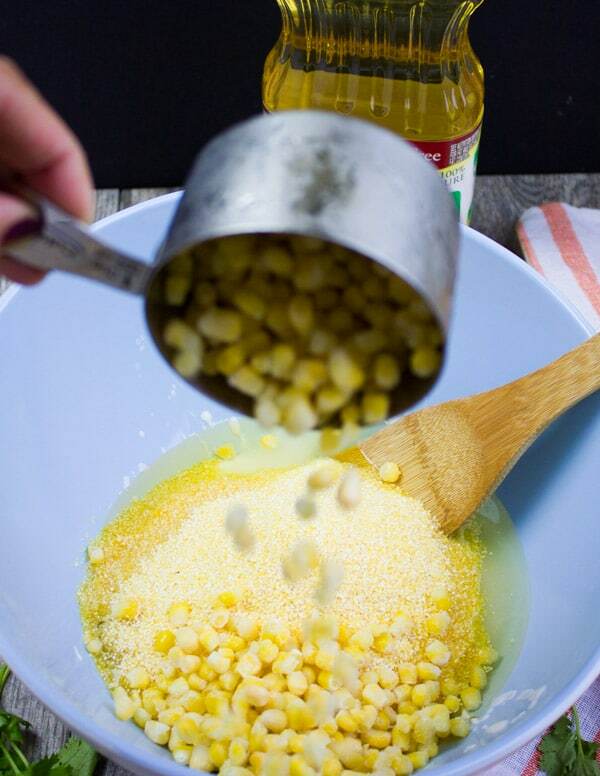 Use fresh or frozen corn for the freshest tasting cornbread. You don't need to cook or thaw the corn at all. I bet these would be amazing along side a big bowl of chili!! Thanks for all the tips to getting them right! This is such an amazing idea! Thank you for sharing !! 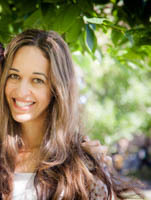 Amanda, hope you try it!!! These look wonderful, and I love your process photos! Thank you Paula, and they’re super easy too!! This looks SO good! Perfect addition to our Thanksgiving table! Yes!! they’re easily made in advance as well so that’s a bonus! These would be PERFECT with a warm bowl of chili! So delicious! That’s exactly what I’m thinking!! Perfect for the holidays. They look great. So true and for chilli /soup days!! I love the addition on the carrots and the sliced jalapenos in these muffins! These would be great with my chili! I have the ideal recipe to go with these fantastic cornbread muffins — it’s our ham and bean soup. Those two dishes make a great combo. I love the touch of the jalapeño and the carrot with the corn in the muffins. What a tasty muffin to be sure. These sound fantastic! I love the addition of yogurt and carrots for extra moisture and flavor. The jalapenos are such a tasty topping too! Corn bread muffins looks delicious I like the addition of oil instead of butter delicious and healthy.